Introducing Instant Pore Refiner, a lightweight serum clinically proven to minimize the appearance of pores. Our hardworking serum helps prevent pore congestion, while proprietary ingredients comfort the skin and defend against harmful environmental factors which can contribute to premature aging. 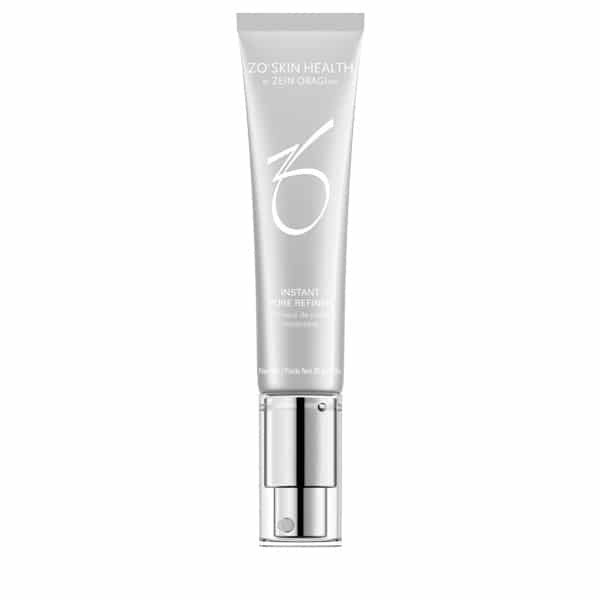 Following cleansing, apply 2-3 pumps, twice daily, AM and PM. Aqua/Water/Eau, Coconut Alkanes, Methylheptyl Isostearate, Cetyl Alcohol, Glyceryl Stearate, PEG-100 Stearate, Isohexadecane, Butylene Glycol, Carthamus Tinctorius (Safflower) Seed Oil, Glycol Distearate, Squalane, Polymethyl Methacrylate, Glycerin, Coco-Caprylate/Caprate, Simmondsia Chinensis (Jojoba) Seed Oil, Aleurites Moluccanus Seed Oil, Plukenetia Volubilis Seed Oil, Helianthus Annuus (Sunflower) Seed Oil, Polyacrylamide, Oleth-20, C13-14 Isoparaffin, Caprylyl Glycol, Salicyloyl Phytosphingosine, Rosa Canina Fruit Extract, Rosmarinus Officinalis (Rosemary) Leaf Extract, Xanthan Gum, Tocopheryl Acetate, Propanediol, Laureth-7, Caesalpinia Spinosa Gum, Disodium EDTA, Phospholipids, Sodium Hyaluronate, Aminomethyl Propanol, Ethyl Ferulate, Polyglyceryl-5 Trioleate, Ascorbic Acid, Retinyl Palmitate, Isostearic Acid, Lecithin, Leontopodium Alpinum Meristem Cell Culture, Marrubium Vulgare Meristem Cell Culture, Fragrance (Parfum), Disodium Uridine Phosphate, Phenoxyethanol, Chlorphenesin.